The 2019 ITU Pontevedra Multisport World Championships event, presented by Santander, is set to be the largest since ITU unveiled the multisport championship format. More than 4,000 athletes are registered for the championships in in north west Spain, which takes place between April 27th and May 4th. The registered athletes are participating in ITU’s Duathlon, Cross Triathlon, Aquathon, Aquabike and Long Distance Triathlon World Championships. Another notable element is the high percentage of women who will take part in some of the competitions. This is almost 33% of the total (1,300 women), ‘when the typical percentage of women registered in these types of races is usually around 25%’. 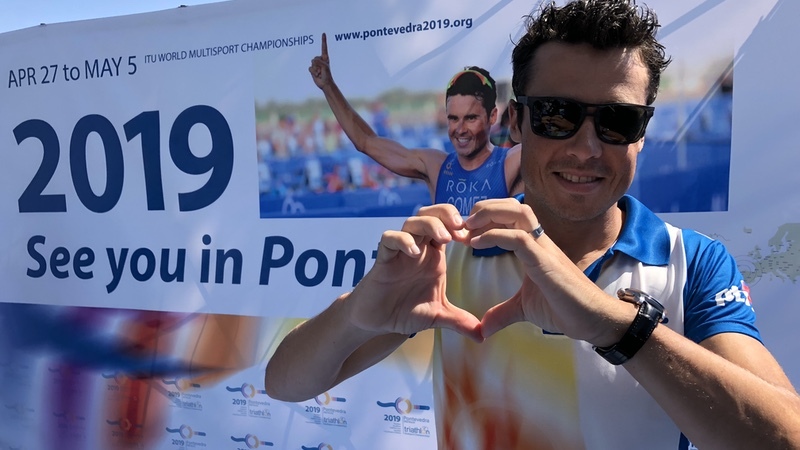 There are a total of 1,047 more athletes registered in Pontevedra 2019 than in Fyn 2018 (Denmark) – the former world champs venue – and 726 more than in Penticton 2017 (Canada) where the first ever ITU Multisport World Champs was held. The arrival of more than 3,000 foreign triathletes, duathletes, aquathletes and aquabikers (with a stay of between 3 and 4 nights on average) should generate a significant economic boost for the region. The other nationalities with the greatest presence will be the British, who have 927 registered athletes, followed by 751 Americans, almost 200 Portuguese, 161 Brazilians and 150 Australians. A total of 54 countries will be represented. The discipline that has the greatest number of athletes registered between the sprint and standard distances is duathlon (with 1,280 registrations), followed by the Long Distance Triathlon World Champs with 900 triathletes, counting both elite and age group athletes. Adding together the five disciplines, there will be 220 participants in the elite category, and the 45-49 age group is the largest among registered age group athletes. There are also 22 participants over 80 years old! Pontevedra 2019 is a multidisciplinary event that will offer athletes and their companions an extensive culture and leisure agenda. Activities include: TriFest music festival, an opening ceremony, pasta parties, guided tours around the province and more. During the multisport championships, a hotel occupancy rate of almost 100% in all locations near Pontevedra has reportedly been achieved.